PRICED TO SELL! You won&apos;t find a better view or location in Wildwood at a better price. Cozy lake cottage with great views and room to grow! Looking for a place with good bones? Here it is! Perfect remodel or expansion opportunity on Big Turkey Lake with all sports fun from sun up to sun down. 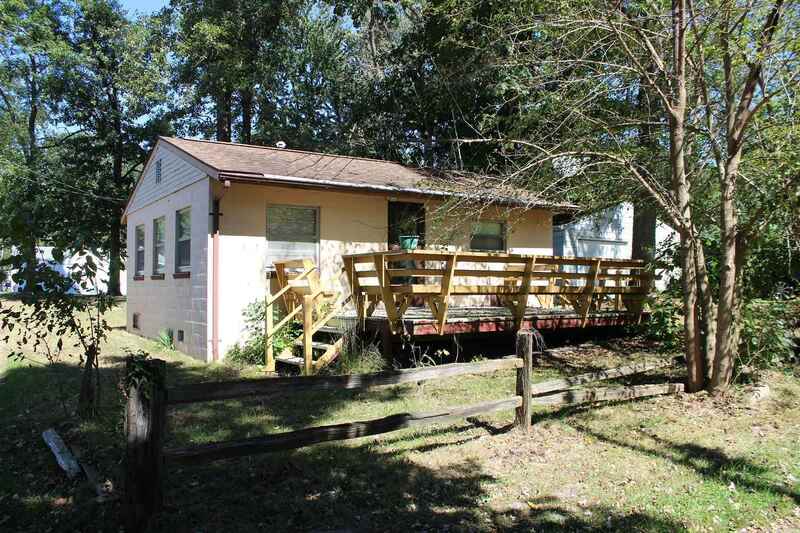 Property has association access and dock space that is right across the street! The sandy association beach is right outside your door. Sit on the large deck with built in seating and watch the fun on the lake. Open floor plan features 1 bed & 1 bath. Great lake views from the home. Additional 2 car garage for storage & keeping your lake toys. This property comes with 3 lots total, great yard space & plenty of room. Furnishings are negotiable. Wait, there&apos;s more - also included in the sale are two boats - a pontoon and deck boat!! Condition unknown. The fishing boat in the garage does not stay nor the lawn mower. This property is being sold AS IS, however inspections are welcome.